A wide variety of resources are available to help students and families of all backgrounds pay for college and career training. Do not self-select out of financial aid before exploring all you options. Do the math – how many hours do you need to work to earn $1,000? The hours required to complete financial aid and scholarship applications could be much less. There is an 85% chance that students will receive some form of financial aid. 92% of low-income students who apply receive grant aid which does not have to be paid back. Plan and save for college and career training as early as possible. Start early – do not wait until you are accepted at a college to ask about financial aid. Apply for everything for which you are eligible. Don’t assume that you won’t be considered. Financial aid deadlines are not flexible – keep track of deadlines. Apply to all four sources of financial aid — Federal, State, College, and Outside Agency (scholarships) Aid — and potentially receive financial aid from all four sources. Save the Date – December 5, 2018. The Pedrozzi Foundation is hosting a Cash for College workshop in Livermore on Wednesday, Dec. 5. You’ll receive hands-on-help to complete your critical Financial Aid application (FAFSA or CA Dream Act Application) and submit it that night. The Pedrozzi Foundation recommends that ALL high school seniors submit a Financial Aid Application (FAFSA or CA Dream Act Application) – learn why. The FAFSA and CA Dream Act application for the 2019-20 academic year opened October 1, 2018, so you can complete your financial aid applications in the fall well ahead of the March 2 deadline for Cal Grant eligibility. However, if you wait and need help, attend our Dec. 5, 2018 workshop. The Pedrozzi Scholarship Foundation, in coordination with Congressman Eric Swalwell, hosted Looking Forward – Paying for College in October 2015. If you missed the event, download the presentation and handouts here and watch the video of the event below. Apply for scholarships for community college, undergraduate and graduate studies and vocational training. Eligibility limited to graduates of the Livermore Valley Joint Unified School District. Livermore based nonprofit providing interest free loans for Livermore residents and high school graduates of any age. Most colleges award scholarships or grants to their own students. Many schools have separate scholarship applications that must be completed in order to be eligible for institutional awards. Also, many private colleges require students to fill out an independent financial aid form called the CSS Profile. The college will inform the student if the Profile form is required, and usually the student must pay a fee to file the CSS Profile form. Every California Community College receives funds to support on campus Extended Opportunity Programs and Services (EOPS). The primary goal of EOPS is to encourage the enrollment, retention and transfer of students challenged by language, social, economic and educational disadvantages, and to facilitate the successful completion of their goals and objectives in college. EOPS offers academic and support counseling, financial aid and other support services. Click here to view information about EOPS at Las Positas College. Check with your high school and college for list of local and national scholarships. Apply to a wide variety of scholarships. The Dream.US – Scholarships for Dreamers who will be attending partner colleges, including several UC and CSU campuses. Students need to complete the Free Application for Federal Student Aid (FAFSA) every year to apply for financial aid (grants, loans and scholarships) from the federal and state governments and most colleges. In California, the FAFSA is due March 2 – verify if your college has an earlier deadline. Use the FAFSA4caster to estimate your financial aid eligibility. Most students should annually complete the FAFSA. The FAFSA application for the 2019-20 academic year opens October 1, 2018 and uses 2017 income data – file your FAFSA as early as possible. The Federal Government is the largest provider of money for higher education through grants, loans and work-study. Learn how to prepare for college, about type of available aid and who qualifies for aid. US Department of Education’s college comparison tool which includes cost to attend, graduation rates, and financial aid and student debt statistics. Site provides information, tools and clear direction on how to access every available dollar to go to college. A virtual counselor walks 9th – 12th grade students and their families through the financial aid application process, comparing college costs, and creating a smart college financial plan. The State of California helps pay for college through Cal Grants, Community College Fee Waivers and Middle Class Scholarships. Students must complete the FAFSA or CA Dream Act App by March 2 to be eligible for financial aid from the State of California. Over $2B each year is available to California students to help pay for college and vocational training. 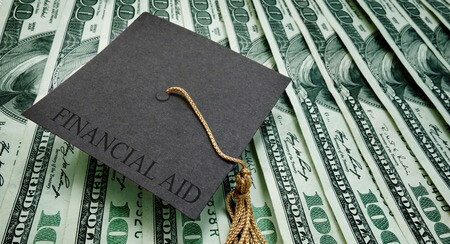 Cal Grants assists with tuition and fees at public and independent colleges, and some occupational and career colleges. At the UC and CSU campuses, the award covers up to full system-wide fees. Your coursework must be for at least two academic years. Grades matter – minimum GPAs are 3.0 for Cal Grant A and 2.0 for Cal Grant B.
Cal Grant A and B eligible students can attend a CSU or UC tuition free. MSC is a program that provides undergraduate students with family incomes up to $171,000 and a maximum annual household asset amount of $171,000, a scholarship to attend UC or CSU campuses. California students must create a WebGrants 4 Students account to monitor, manage and accept Cal Grants and Middle Class Scholarships. Using this online portal is an important step in receiving money from the State of California. California community colleges are affordable for all students. This site provides information specifically for CA community colleges – available in English and Spanish. The California College Promise Grant waives per-unit enrollment fees at California community colleges for low income students. California College Promise Grant eligible students can attend a CA Community College tuition free. Not all California students are eligible for federal financial aid, but may be eligible for financial aid from the State of California. These students need to complete the CA Dream Act Application instead of the FAFSA. Read 10 Things You Should Know About the CA Dream Act to determine eligibility. Use these online tools for calculating college costs, loan payments, savings, and the expected family contribution (EFC) – estimated how much financial aid you may receive. Learn how to open and manage a 529 ScholarShare College Savings Plan. Learn about options for saving for college and using online tools to calculate college savings targets.